Our Premier Laser & Skin clinic in Notting Hill offers the latest and most advanced treatments for a variety of skin types. Whether you are looking for the best and safest laser hair removal techniques or facial rejuvenation, we can help. Our location in West London is conveniently accessible to patrons from Bayswater, Lancaster Gate, Earls Court, Kensington, Queensway, Holland Park, Ladbroke Grove, West Brompton, Marlybone, Maida Vale, Primrose Hill, Sloane Square, St. Johns Wood, and Knightsbridge. HydraFacial has streamlined the processes for improving the overall health of your skin. With the careful precision of this machine, get ready to experience the most incredible facial of your life. The multi-step treatment is non-invasive and combines the best of hydradermasion and a chemical peel with a special blend of Hyaluronic Acid, Peptides, and Antioxidants for a fast and efficient process. This treatment plan can be tailored around the specific needs of all skin types. The Notting Hill location is able to offer this amazing treatment with no downtime afterwards, no skin irritation, and considerable noticeable results. A treatment plan can be designed with your specific needs in mind, with results after the first treatment lasting a minimum of five to seven days. In some cases, one treatment can be recommended every two weeks, depending on what your main goals are from your treatment. 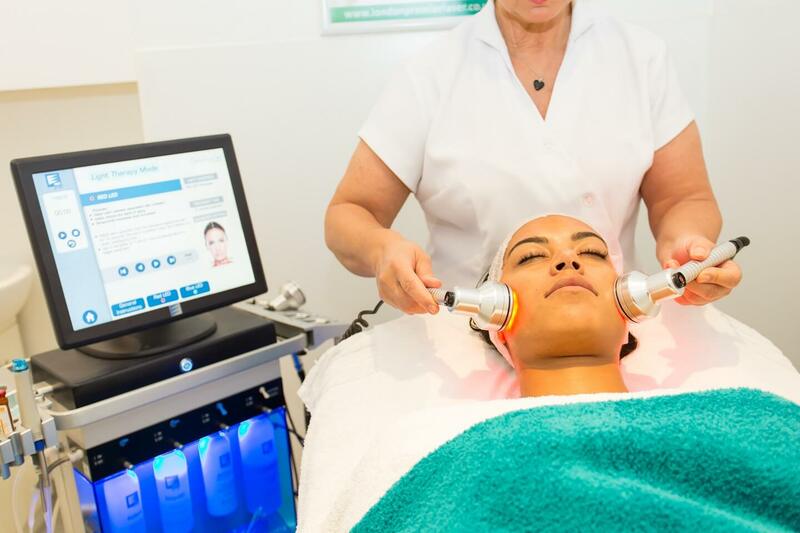 With the HydraFacial machine at our Notting Hill clinic, a variety of skin types can be accommodated. Our experienced technicians will consult you, help you define your goals, and then create a protocol that is tailored specifically to your needs.